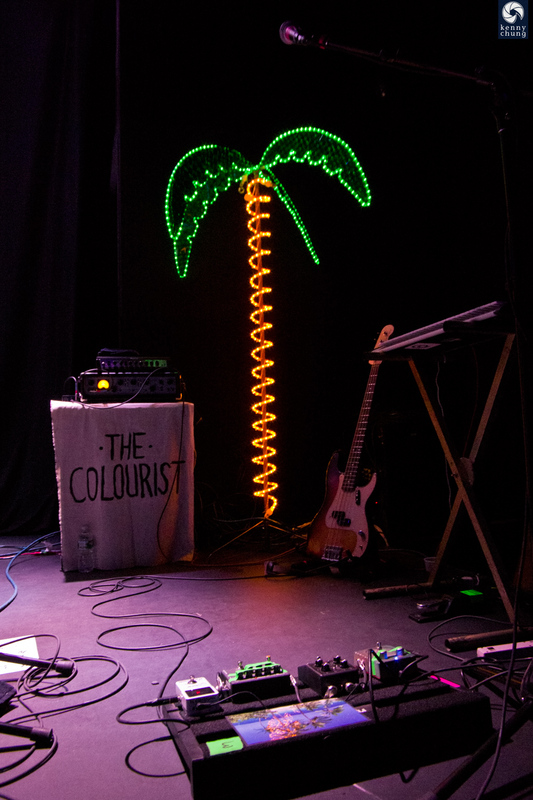 The Colourist provides a perfect balance of energy, grounded optimism, and just enough cowbell. 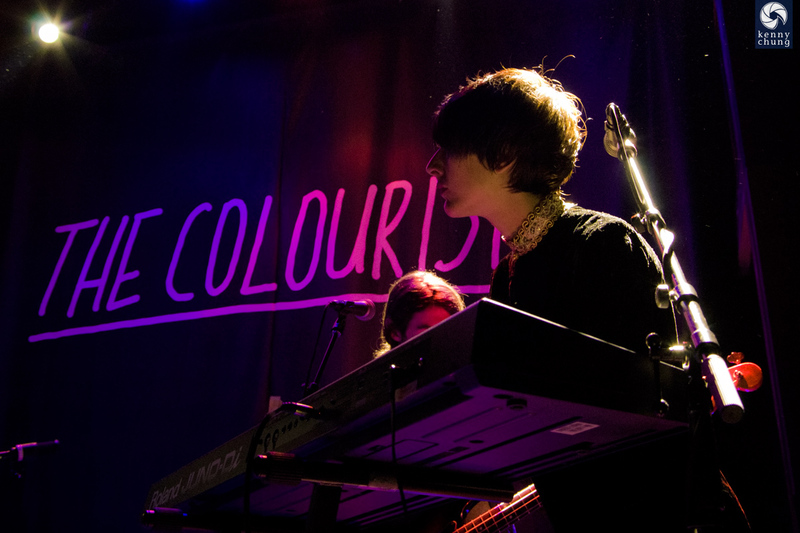 I first learned about The Colourist from a friend, who directed me to their single "Little Games" (embedded to the left). I was instantly hooked by the earworm pop melodies, and I'm always a sucker for dueling/harmonized male/female vocals. 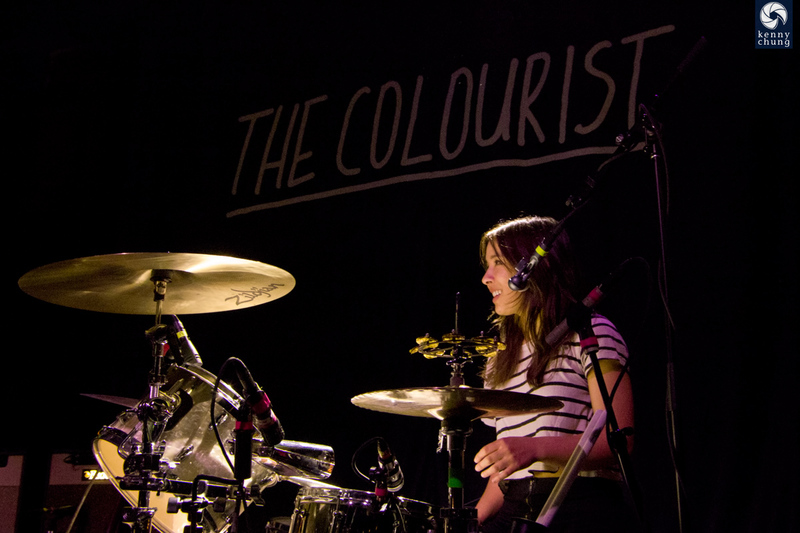 This tour was their first one as headliners, and I was lucky enough to go to their self-titled record release party show at Rough Trade, Brooklyn. 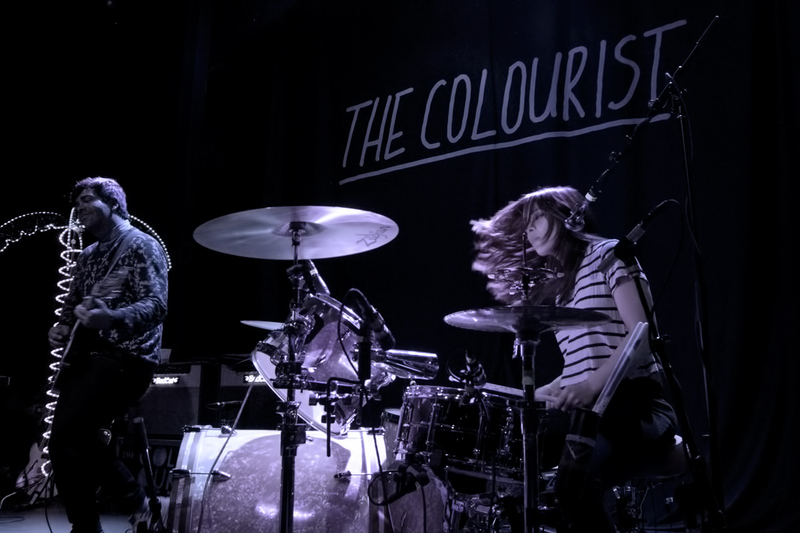 The Colourist was supported by opening acts The Wind + The Wave, and Night Terrors of 1927. The first openers were The Wind + The Wave, a Texan band that fused country and pop. The duo of Patricia Lynn and Dwight Baker (along with a backing drum track) had as much presence as a full band and were fun to watch. 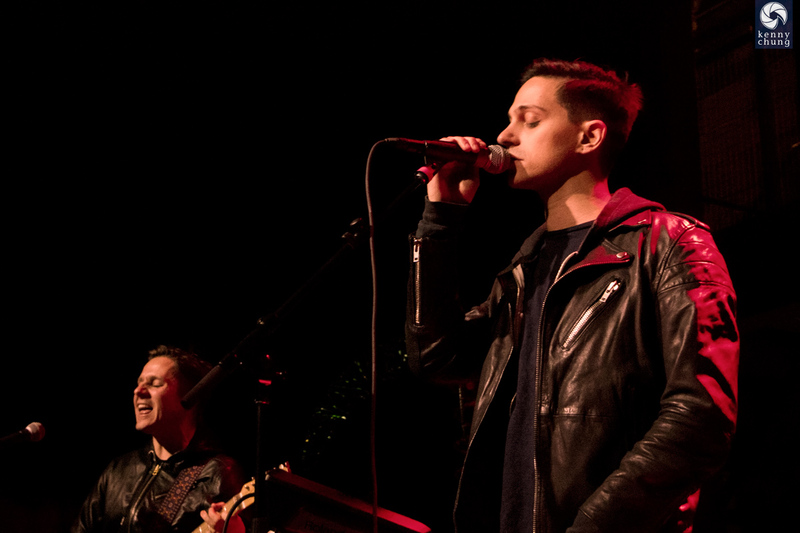 The second band to take the stage was Night Terrors of 1927. I didn't realize at the time, but the lead singer is Jarrod Gorbel, who you might know from The Honorary Title or his solo work, and the lead guitarist is Blake Sennett (most notably of Rilo Kiley). They opened their set together with a quiet single-guitar song. 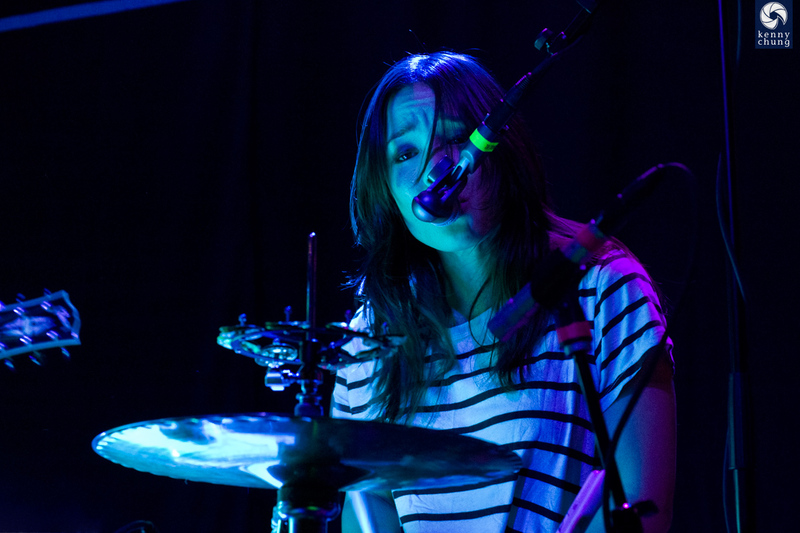 Keyboardist Lauren White provided backing vocals on most of the songs. 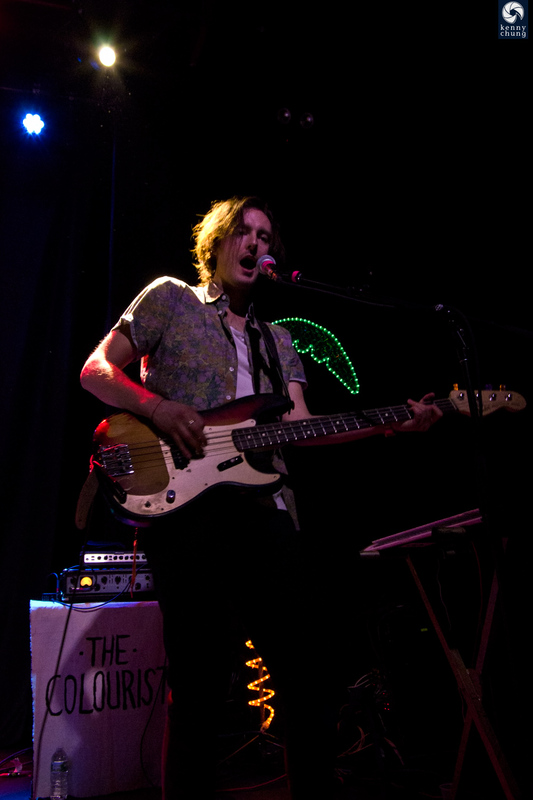 The band's sound was characterized by Gorbel's bassy voice supported by group harmonies. 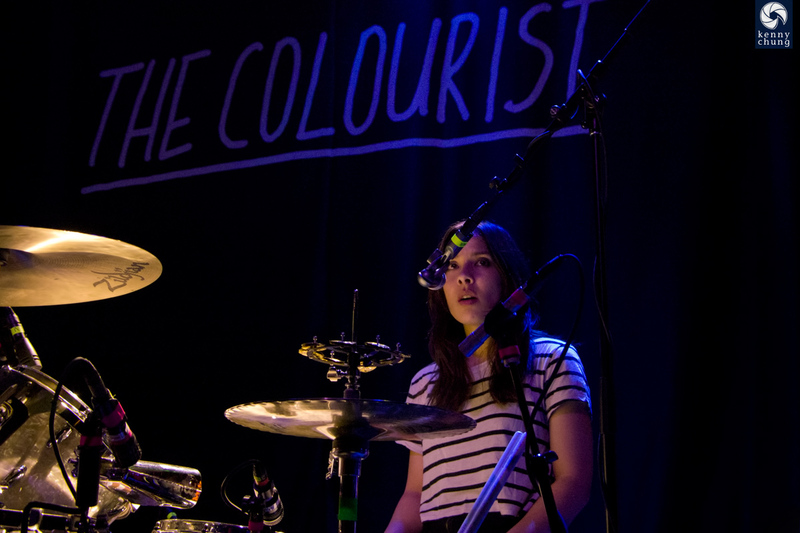 Their rhythm section was also very solid. 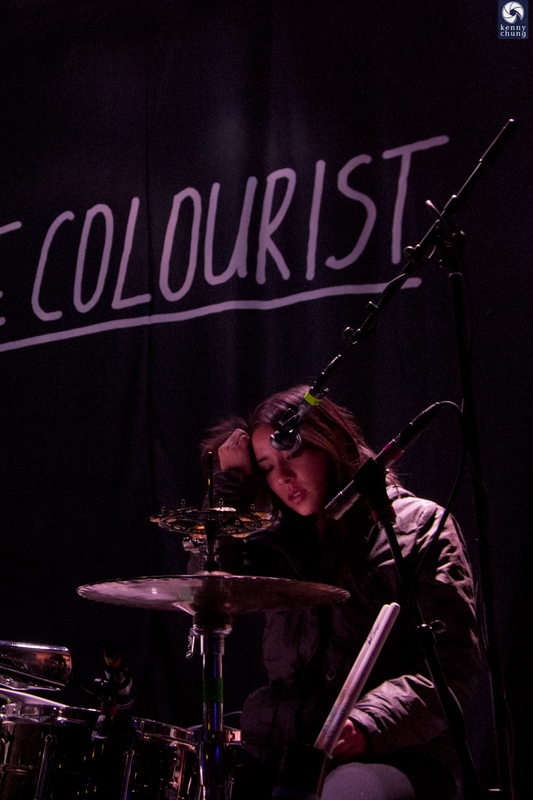 The Colourist's singer/drummer Maya Tuttle during soundcheck. 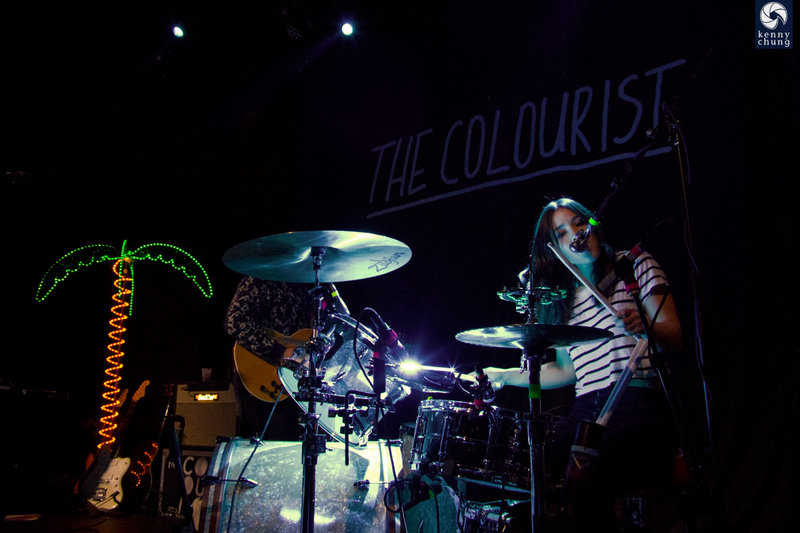 The Colourist hit the stage with a ton of energy. 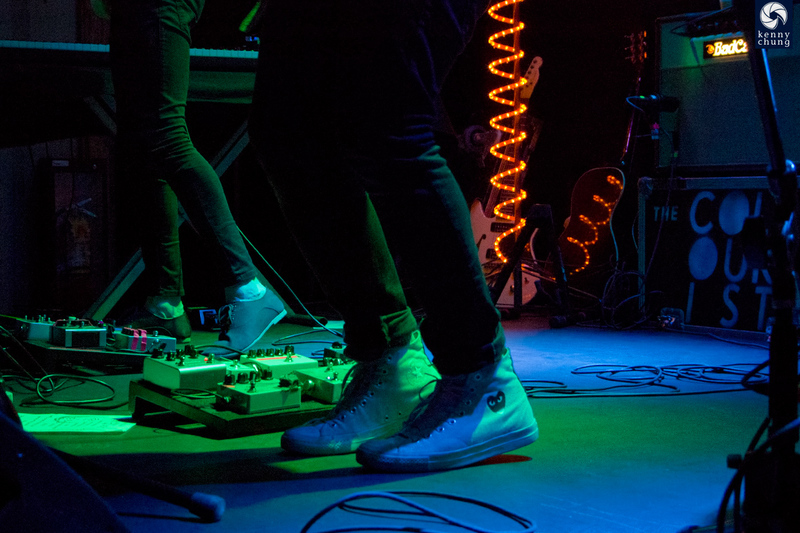 The Colourist's Adam Castilla's high-top Converse sneakers along with two other pedal boards. Maya Tuttle taking a short break from drums to provide lead vocals. Bassist Kollin Johannsen swapped places and instruments with guitarist/keyboardist Justin Wagner halfway through the set. 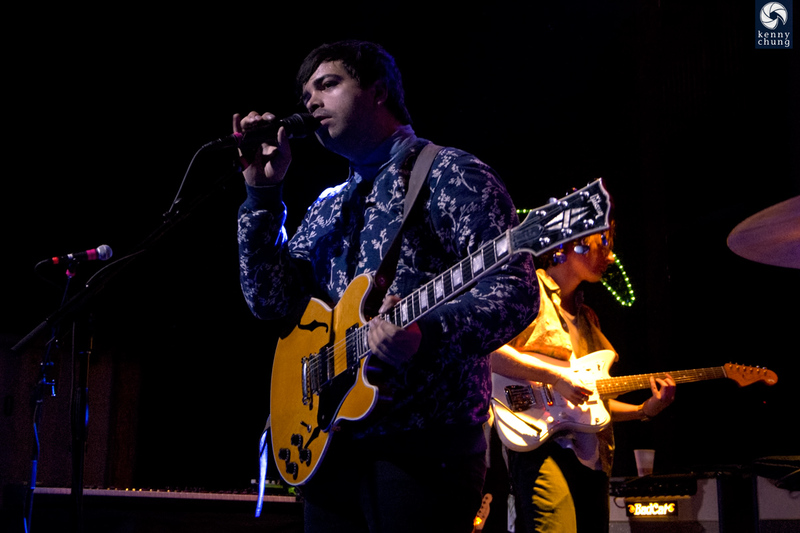 Lead singer (and founding member) Adam Castilla. The other founding member Maya Tuttle. 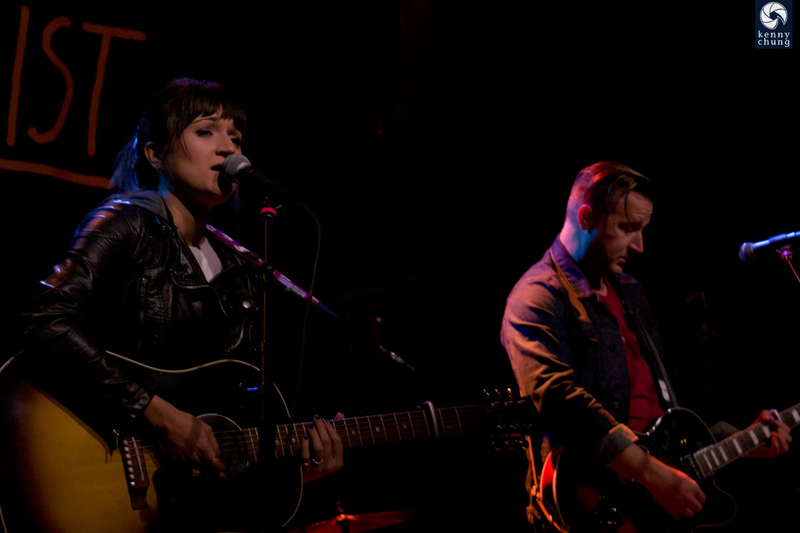 Maya Tuttle providing background vocals on the acoustic track "Stray Away" from their self-titled full-length album. Maya Tuttle encouraging the crowd to clap along during the encore. Of course, they ended their set with a very spot-on performance of "Little Games", to which the crowd sang along with every word. All in all, a pretty good showing for the band's first time in Brooklyn. 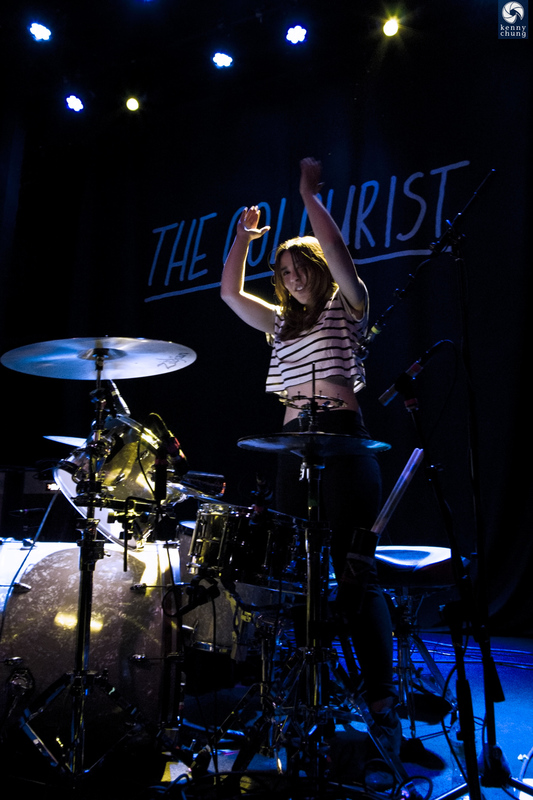 With a singer who's also the drummer, it can be tough to balance levels (especially in a smaller venue), but the sound techs at Rough Trade did a great job.